For a more formal looking pool with a greater architectural feel, Eden introduces the Conrete Wall. With its precise geometric lines this pool will appeal to those looking for definition and structure to mould into their existing landscape vision. As opposed to the natural lines of the Earth Wall, this pool uses vertical concrete foundations. The regeneration zone can be integrated within the pool, or completely separated and located alongside, where your native aquatic plants can be incorporated into your landscape vision. Although the Concrete Wall delivers a contemporary pool environment, it is not as cost effective. If you have an existing traditional pool, we can convert it into an Eden Concrete Wall pool. 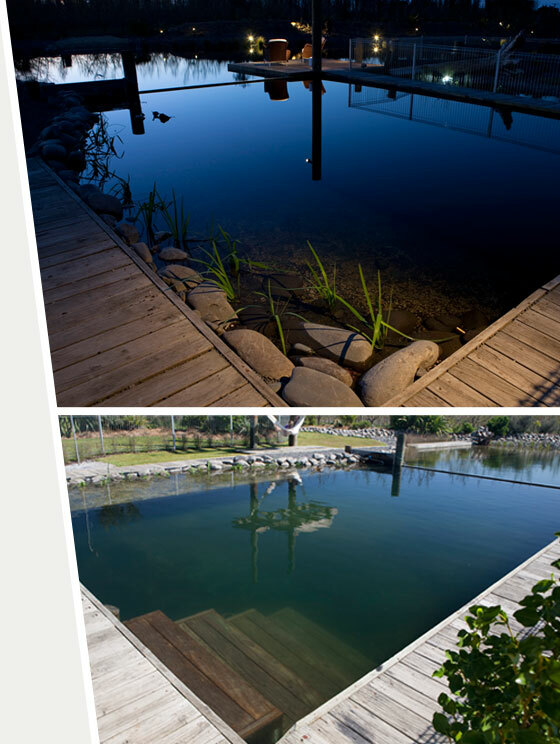 Your existing pool shape and structure can be added to, or removed from, to change the shape of your new, natural pool.